Tired of hearing: "I'm done! Now what?" from your fast finishing students? 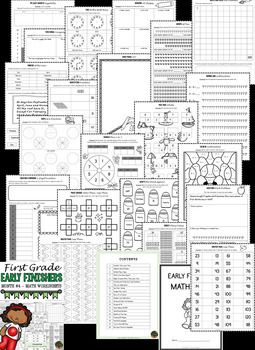 This first grade early finishers pack is perfect for your classroom. 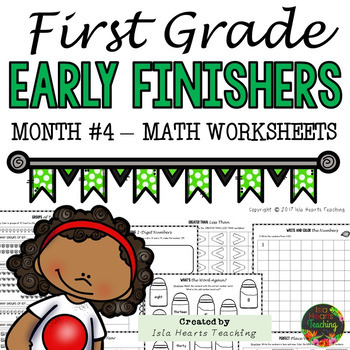 It contains 20 engaging and educational math printables that your students can work on independently. 4. What’s the Word Again? In addition to the 20 printables, this pack also contains cover pages, an easy tracking sheet, a student self-assessment and motivational certificates! Both US and UK/AU/NZ spelling options included!